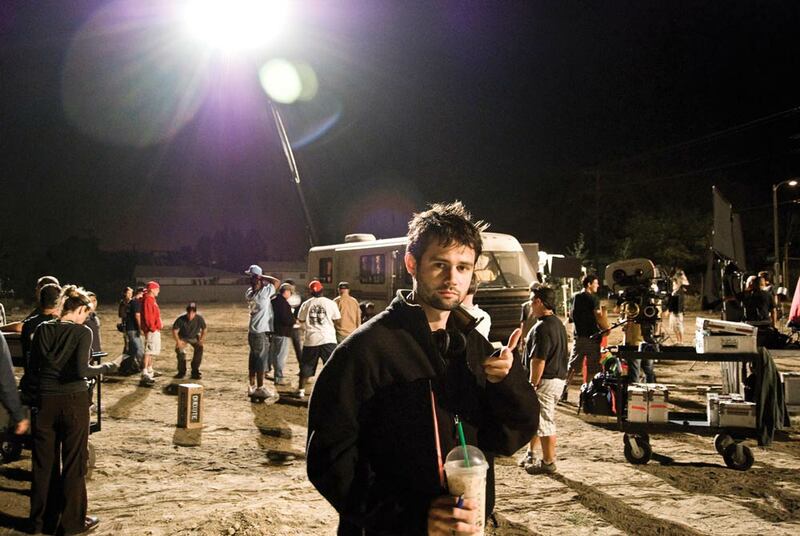 Alumni are making movies, short films, television shows and documentaries, from coast to coast. Luke Wilson and David Koechner perched on a tree branch 60 feet up in the air while a camera crane filmed them. The actors wore harnesses, and a stunt coordinator watched from the ground. Wilson sat next to the trunk, where he rested one hand, but Koechner balanced precariously on the middle of the branch. The scene required twilight, so cast and crew only had 10 minutes to film the scene: a heartfelt conversation between best friends. “It was a trying moment, but we got it and it paid off with great performances,” says Mike Million (Col ’93) who wrote and directed the new film Tenure, a comedy about professors at a small college competing for the coveted “job for life.” Million shot the $5 million film in Pennsylvania over 25 days in April 2008. “The days were grueling, but I was pumped full of adrenaline for a month straight. I’d pop out of bed every day excited to go to work with a hundred people on set who were there to collaborate on a shared vision,” says Million. Film directing was always Million’s goal, but his path has been roundabout. He attended the American Film Institute for screenwriting but left after a year with the conviction that the craft of filmmaking was best learned as a working apprentice rather than in school. He became a film editor and started a company called Third Story Films in Washington, D.C., that makes corporate videos, documentaries and commercials. He continued to write scripts and sold several in Hollywood. Million wrote Tenure in 2005, and it caught the attention of Paul Schiff, who produced Rushmore and My Cousin Vinny. After Luke Wilson and Gretchen Mol came aboard, the project got the green light from Blowtorch Entertainment in early 2008. Though Million had experience directing short films, his first feature film offered new lessons. 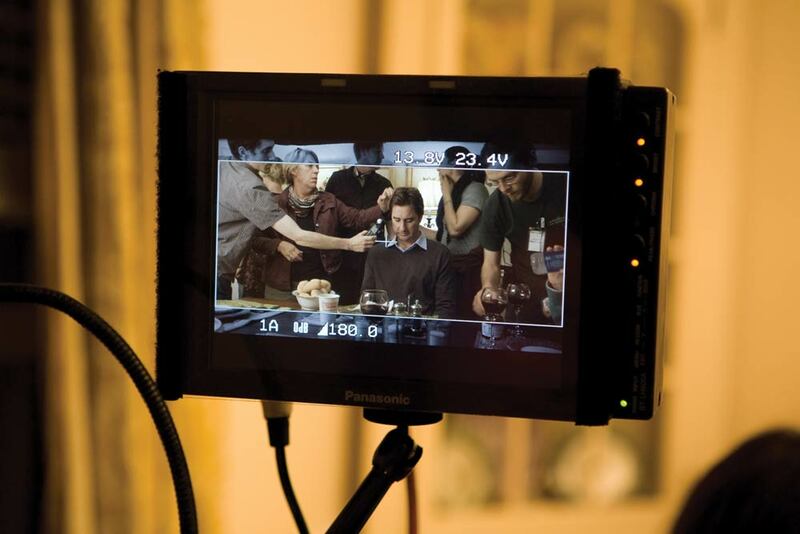 “On low-budget projects, the director often has to do everything and be a jack of all trades. I’d have to think about the story, yes, but I’d also have to think about whether the crew was being fed.” Working with a large professional cast and crew, he was finally able to concentrate on the performance of the actors and big-picture questions about story and tone. His first feature also educated Million in the business of filmmaking. “You realize that a lot of people have spent a lot of money and they want [to make] their money back, which makes sense, but it can be hard to navigate the creative process with that kind of pressure,” he says. Sarah Drew on the set of American Pastime. Drew (Col ’02) started out in theater with a couple of professional jobs in middle school on Long Island. While in high school, Drew got her first major role, as the voice of Stacy Rowe in the animated television series Daria. “In college, on my spring breaks and other vacations, I’d go up to New York and record four or five episodes at once,” she says. “You can completely let loose in the sound booth: waving your hands around, turning red in the face, making the strangest facial expressions—and it doesn’t matter, because all the audience hears is your voice.” A few years later, she landed the role of Hannah Rogers on the WB television series Everwood. Sarah Drew plays Juliet in the McCarter Theatre’s production of Romeo and Juliet. Drew is working on a new pilot, tentatively called Inside the Box and produced by Shonda Rhimes of Grey’s Anatomy fame. It’s set in a Washington, D.C., television station, and Drew says it has “the intelligence of The West Wing with all the drama of Grey’s Anatomy.” She co-stars with another UVA alumnus, Jason George (Col ’94). 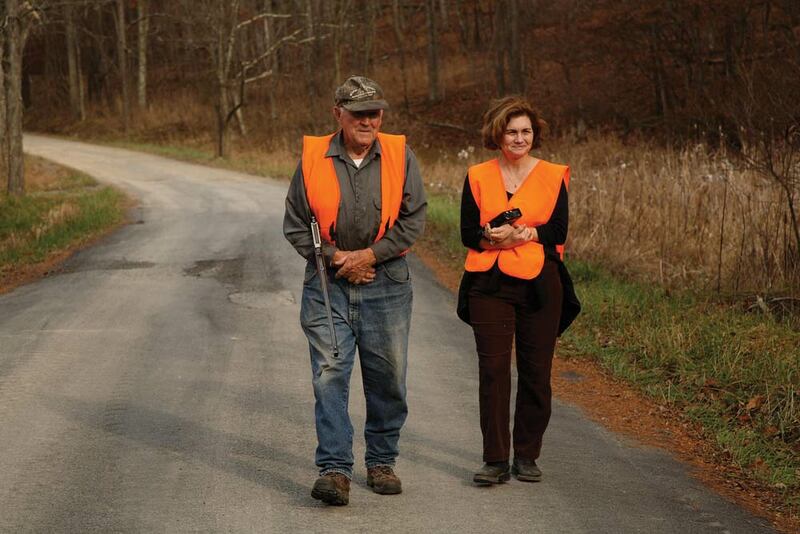 Appalachia was the culmination of an eight-year effort and was broadcast on PBS this April. The documentary is only the latest accomplishment in a long and fruitful career for Ross. In 1981, a fortuitous friendship and a fascination with film created an opportunity for Ross to work with Ross Spears, an award-winning documentary filmmaker. Ross learned quickly that documentary filmmaking bore little resemblance to Hollywood movie magic. The budgets were meager and many of the documentarians’ tasks were painstaking, slow and solitary. Producing the Agee Films documentaries has allowed Ross to draw on her close ties to Virginia. Appalachia is narrated by Virginia resident Sissy Spacek and features Virginia writer Barbara Kingsolver. Tell About the South, a 1998 series of three feature-length films about modern Southern literature, is narrated by Rita Dove and features other Virginia writers, including Nikki Giovanni. Ross’ work has taken her all over the South, from Civil War battlefields and gravesites for the film Long Shadows: The Legacy of the American Civil War to New Orleans and the Mississippi delta for Tell About the South. Working out of her Charlottesville home, Ross is developing a new independent production company called Red Dirt Projects for documentaries that tell the stories of forgotten communities. She is also working on a book about a rural community in Virginia, just 70 miles outside of the nation’s capital, where the longtime land trust residents refuse to sell their land for any amount of money. It’s tentatively titled Cacapon River Voices. 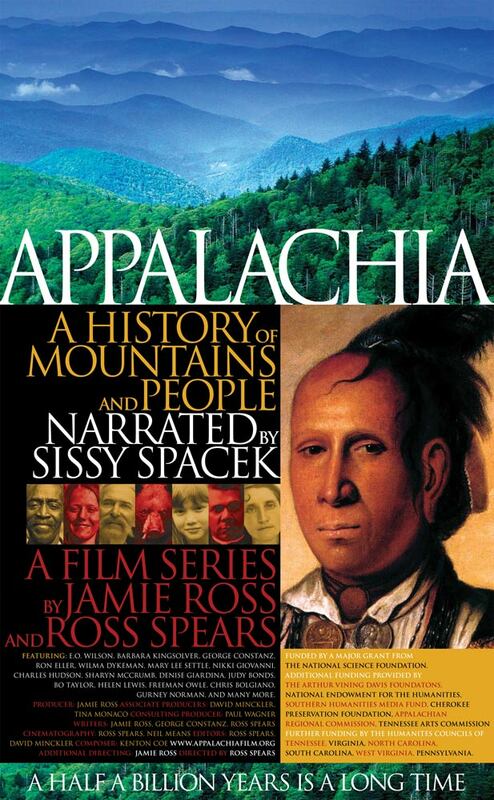 Check out the trailer for Appalachia: A History of Mountains and People. In the episode Mark Bruner wrote for the CBS show Criminal Minds, the script called for an RV to be abandoned on the side of the highway by a family of serial killers. One of the producers wasn’t entirely satisfied with the plot point; he felt it lacked drama. “What if they blow it up?” suggested Bruner. The producer loved the idea and Bruner proved that he had a gift for the peculiar demands of TV writing. Bruner (Col ’07) wrote and directed short films during his time at UVA. He was a script reader for Cavalier Films and Dave Matthews’ production company, ATO Pictures, so he knows a good script from a bad one. After the strike, CBS expressed concern about the content of the episode. “The motives of the killers were somewhat religious, and that no longer seemed appropriate, so I had to come with a new premise,” says Bruner. The killers were transformed into a nomadic tribe who lived according to their own anarchic code. “With help from the writing staff, I came back with something I was really proud of, and I couldn’t have been happier,” says Bruner. 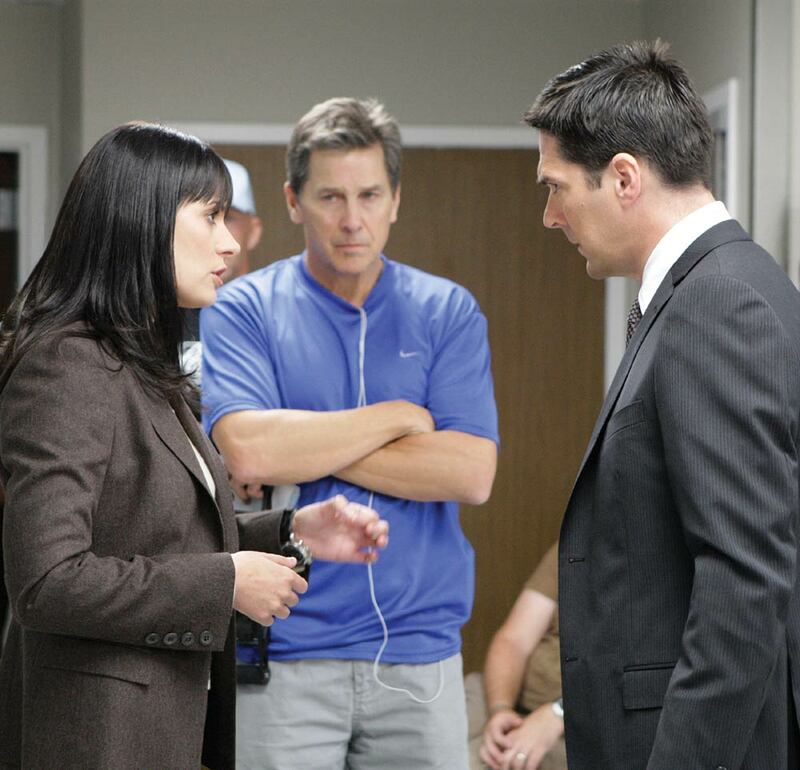 Tim Matheson, formerly an actor and director on The West Wing, directed the multimillion-dollar episode last season. 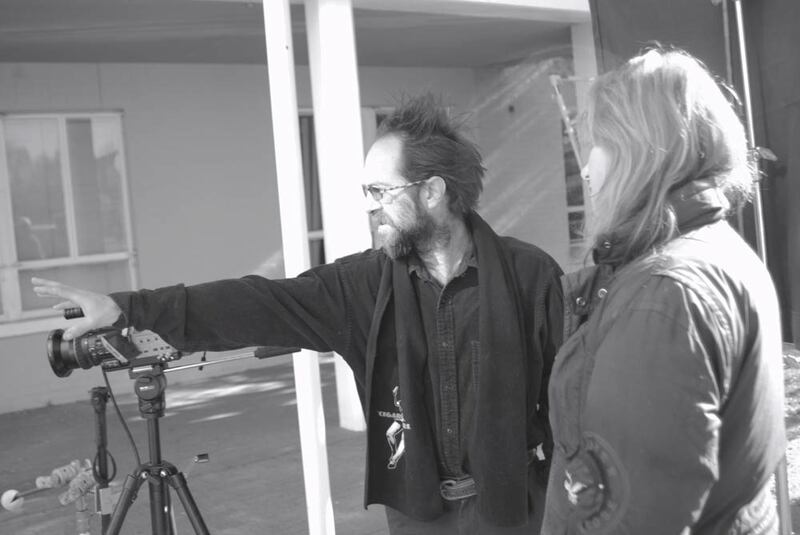 Bruner was on set as the writer for the eight days of shooting. “Actors would come up to me to get clarification about what I intended for the story and their characters,” says Bruner. “It was such a high.” Thirteen and half million people watched the finished episode. 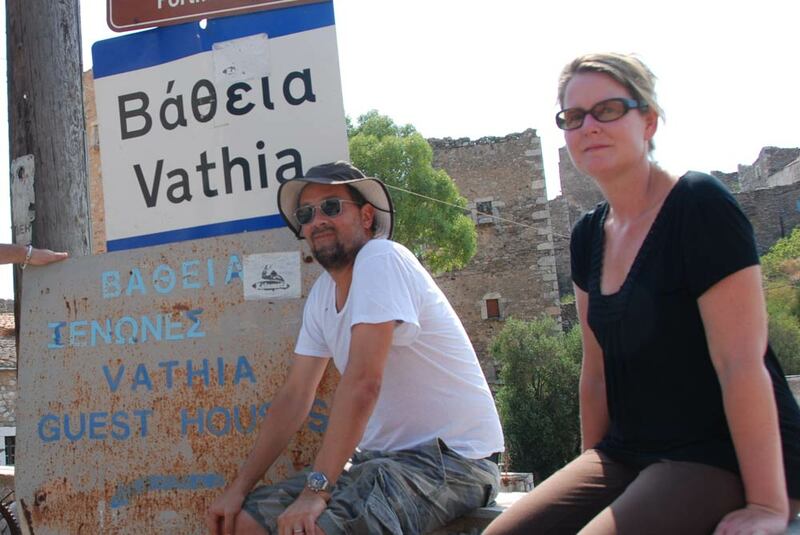 Marc Lieberman straddles two worlds. 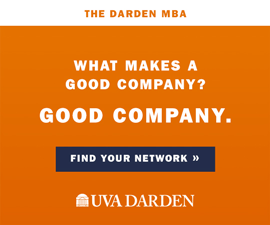 As co-founder—with local businessman Barry Sisson—of Charlottesville’s Cavalier Films, he produces low-budget features and brings heartwarming stories to life in the popcorn-scented darkness of the cinema. He lives an old-school Hollywood dream. But Lieberman (Com ’97) also produces for the Onion News Network, an online spoof of a 24-hour news network. In April, the Onion garnered a Peabody Award, but there’s nothing heartwarming about it. Indeed, the Web site is notorious for delectably cynical “news” flashes, such as “Child Bankrupts Make-A-Wish Foundation with Wish for Unlimited Wishes.” It’s irreverent, Web-based and targeted at young hipsters. 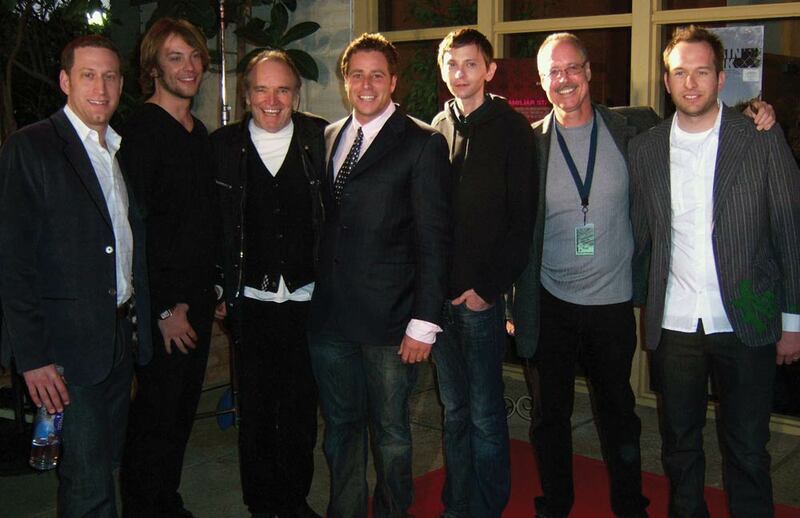 Marc Lieberman with members of the cast and crew of Familiar Strangers at the Newport Beach Film Festival. 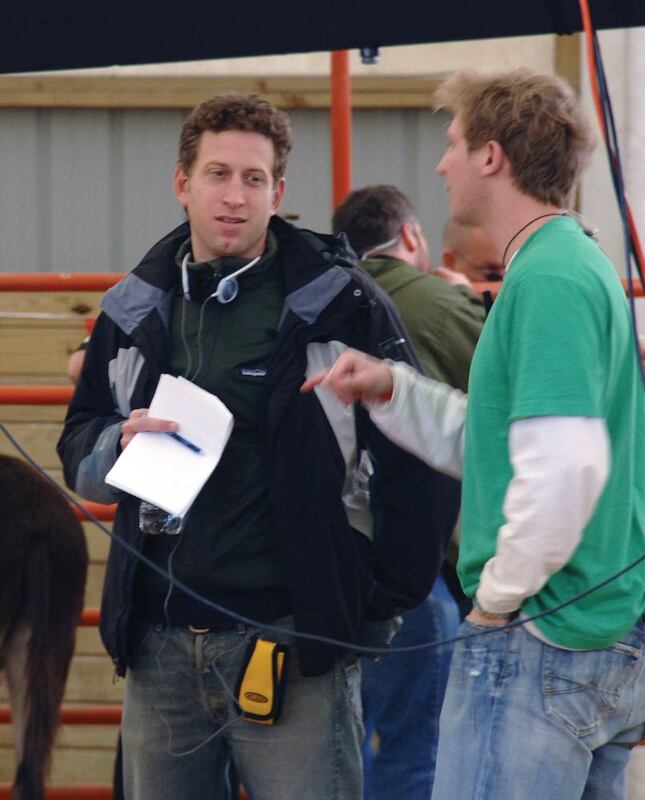 Lieberman produced the 2008 film Familiar Strangers, a sweet tearjerker about family, Thanksgiving and donkey basketball that was shot in Staunton, Va. Wacky but tender, it delighted theatergoers throughout Virginia, Tennessee and Texas. It’s slated for release on DVD in the coming year. “Film scripts this good are rare,” Lieberman says, “and that’s what hooked me. To make a movie, you have to devote at least three years of your life to it and believe that theatergoers will spend money on it.” The fact that Strangers struggled at the box office leads Lieberman to speculate on the future of indie film. “The problem is that the new generation doesn’t want to pay for content. And they want entertainment on demand, how ever it’s convenient,” he says. As it becomes easier to download pirated films onto miniature screens on handheld devices, audiences for the communal pleasure of the movie theater dwindle. Thus, finding investors for movies is increasingly challenging. “Major studios don’t want to take risks on anything other than potential blockbusters, so small, intimate films suffer,” Lieberman adds. See the trailer for Familiar Strangers. Kelly Thomas (GSBA ’03), a film producer with Mockingbird Pictures, was shooting her latest film far from home when she found herself in a bit of a jam. She compares the position of the producer in a movie to that of a CEO in a company. “The director is the ‘president’ of the movie,” she explains. “As the CEO, I’m responsible for supporting the director—creatively, I’m very involved, but also in terms of making sure we hire the right people to support him. It’s like a mini-corporation. See the trailer for Nine Lives. 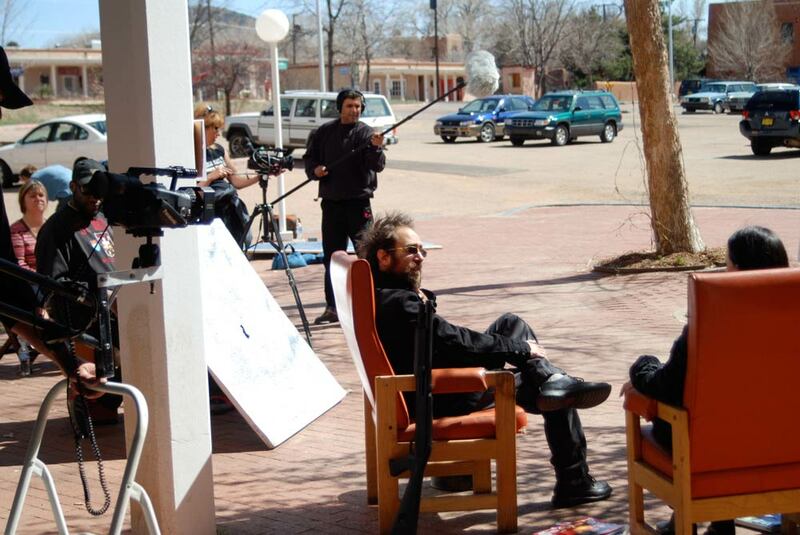 “Collaboration, catharsis, constraints—that’s what independent film is all about,” says Stephen Jules Rubin, founder and CEO of Julesworks, a New Mexico-based film production company. “Constraints” may be the critical element—indie movies’ tight budgets, Rubin says, often force filmmakers toward a stylistic economy much different from big studio fare. Storytelling remains the first love of this Baltimore-born screenwriter/producer/ actor/director, but becoming savvy about money and marketing has allowed him to thrive in a cutthroat industry. “I’ve become a shameless self-promoter,” he says, chuckling. “I’m interested in ambiguity—that space between the search for truth and the suspicion that life might be meaningless,” Rubin says.